Our favorite, Ty Dillon, is driving #95. The excitement spills over to every member of our family. I wake up, and want to start cooking for a race viewing party, but….. my muscles aren’t cooperating! Ouch! Overnight, I’ve aged ten years and aches and pains are dragging me down. Thank goodness I made a pit stop at Walmart yesterday and picked up some fast acting, rapid release Advil® Film-Coated. Those aches and pains are NOT going to slow me down today. I’m headed for the finish line and that checkered flag. Since Ty Dillon is from North Carolina, I was inspired to spice up our usual nachos with North Carolina Barbecue Sauce. Have you ever tried this delicious unique barbecue sauce? 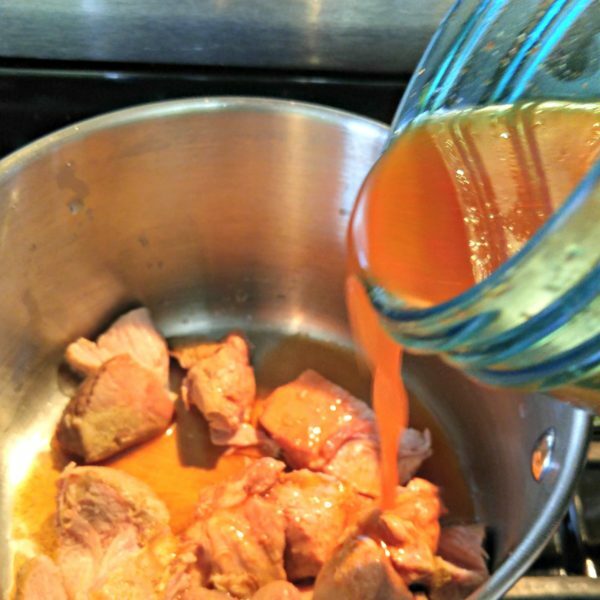 Popular especially in Eastern North Carolina, it’s a vinegar-based sauce that pairs particularly well with pork. And my family loves pulled pork nachos! A match made in heaven North Carolina. Here’s my recipe. 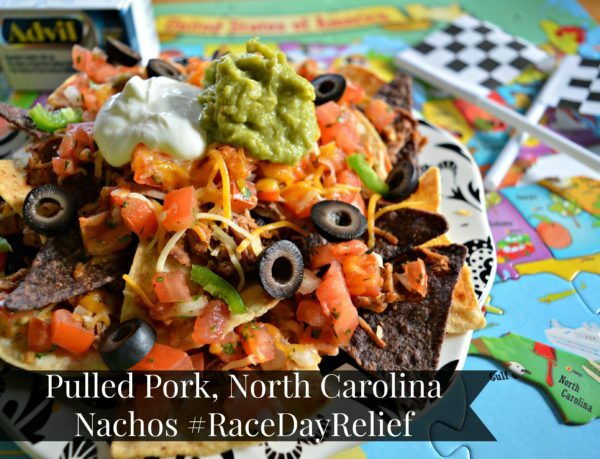 Call your race fan friends, cook up a batch of Pulled Pork North Carolina Nachos, and watch Ty Dillon win! Directions: Combine ingredients in a glass jar. Seal and shake well. Refrigerate overnight. 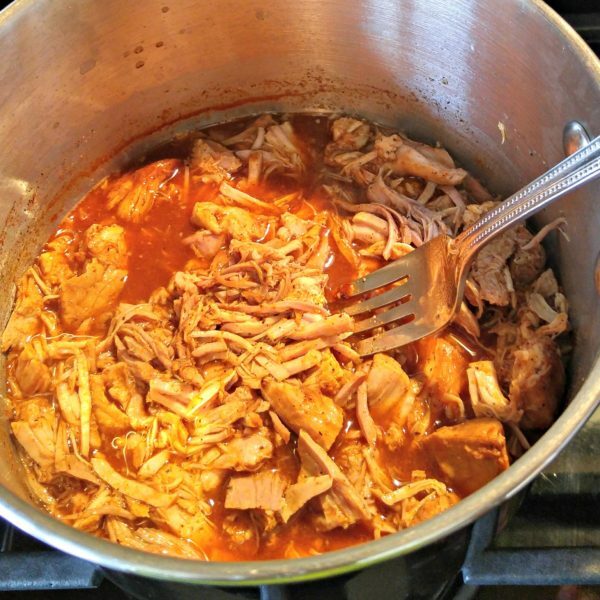 On race day, place pork in saucepan, cover with North Carolina Barbecue Sauce, bring to a boil. Simmer for 20 minutes. Meat will be fork-tender and easily pull apart. Assemble nachos. 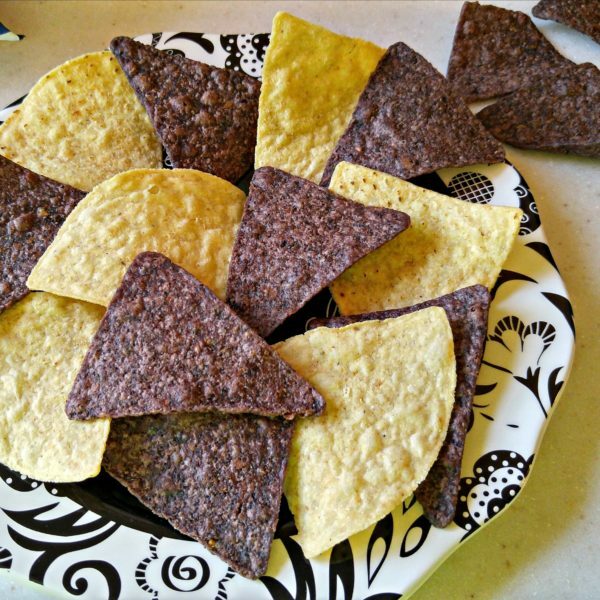 Alternating blue and traditional tortilla chips will give your dish a fun, checkered flag look! Layer tortilla chips, pulled pork, salsa, cheese. Repeat with second layer of tortilla chips, pulled pork salsa and cheese. Place in toaster oven or broiler to melt cheese. Garnish with sour cream, guacamole, black olives, jalapeno slices, cilantro. 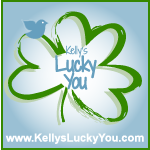 Don’t let aches and pains keep you from enjoying a race day! The Ford Ecoboost 400 in Miami is coming up on November 20th. It’s the perfect excuse for a viewing party and that means food, friends, and fun. 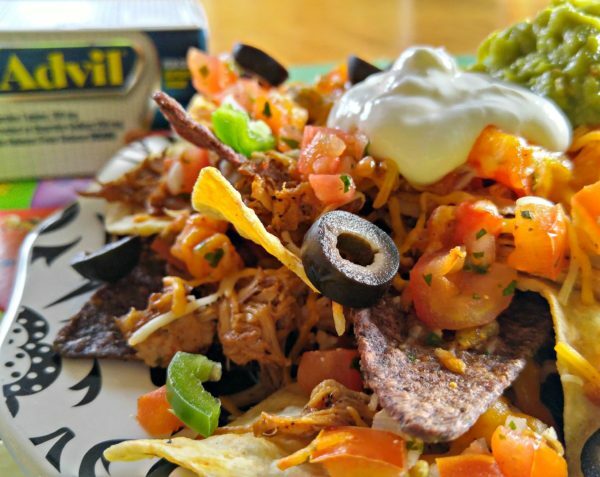 Pick up ingredients for Pulled Pork North Carolina Nachos, your favorite beverage, and don’t forget the fast acting, rapid release Advil® Film-Coated at Walmart. 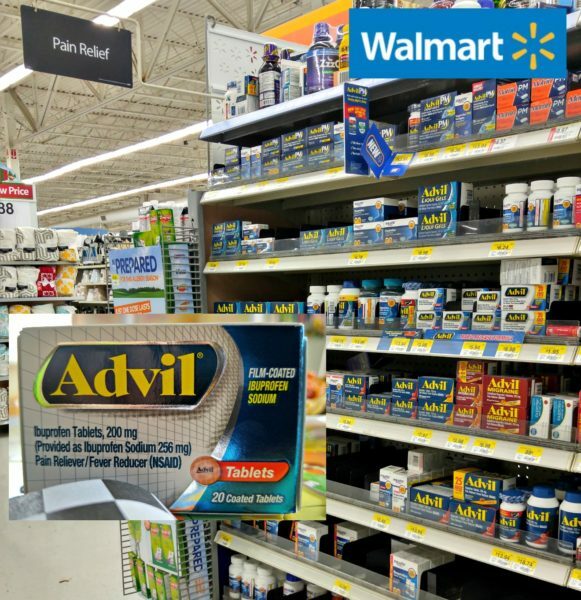 Save big with an Advil coupon here! When is your next finish line? I love all of the ingredients you used! This looks so delicious! These nachos look and sound amazing! I would love to make these for my family because I am sure they would be gone fast! This recipe sounds delicious! It closely resembles my recipe for Eastern North Carolina BBQ! YUM! 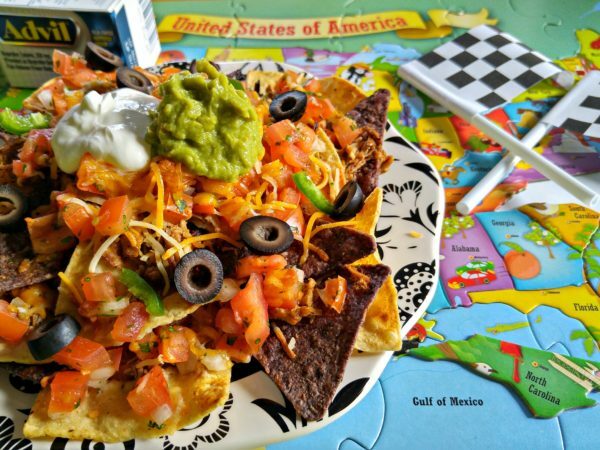 I never thought of putting the pulled pork on nachos…love it! These nachos are making my mouth water! Looks fantastic! Nachos with pulled pork…delicious!!! Love the BBQ sauce it sounds awesome. Oh this looks so delicious. I have got to make some of these mouthwatering foods. Oh we love making nachos, but have never tried it with a pulled pork. This sounds so good! I have to try! I think I am coming to your house you always have the greatest recipes and food. (lol). This one looks so good. I never thought of putting pulled porked on nachos. Looks and sound delicious! Well this is a different spin on Nachos. I think I would like it. I have never had pulled pork on my nachos! I think my family would like it. I will have to try it!!! We all love nachos and these look so good! These look yummy! We do love our tangy and sweet barbecue sauce here in NC! This pulled pork recipe looks so good will have to make it with my kids they would love it. The North Carolina Barbecue Sauce recipe looks so good could use it on chicken too. I’m obsessed with nachos and these look INCREDIBLE! I know what I want for diner tonight! Wow, those look incredible! I need to up my nacho game to match yours! Definitely gonna try your recipe. Piled high…the best way. We like nachos, but I’ve never had pulled pork. I like the use of vinegar and cayenne to spice it up. Start your engines and eat! This looks delicious! I love the nachos you used in this, Definitely going to have to make this sometime for the family. These nachos look so delicious! I think I’ll make them for myself sometime. I’m from NC so I am a big fan of BBQ, these bbq nachos look amazing! My sister lives in NC and is always telling me how good their BBQ is. Sounds yummy. Never thought to use barbecue sauce in nachos. Great idea. Such a small change to make a unique dish. The nachos look so delicious! I have GOT to try these. These look and sound so YUMMY! 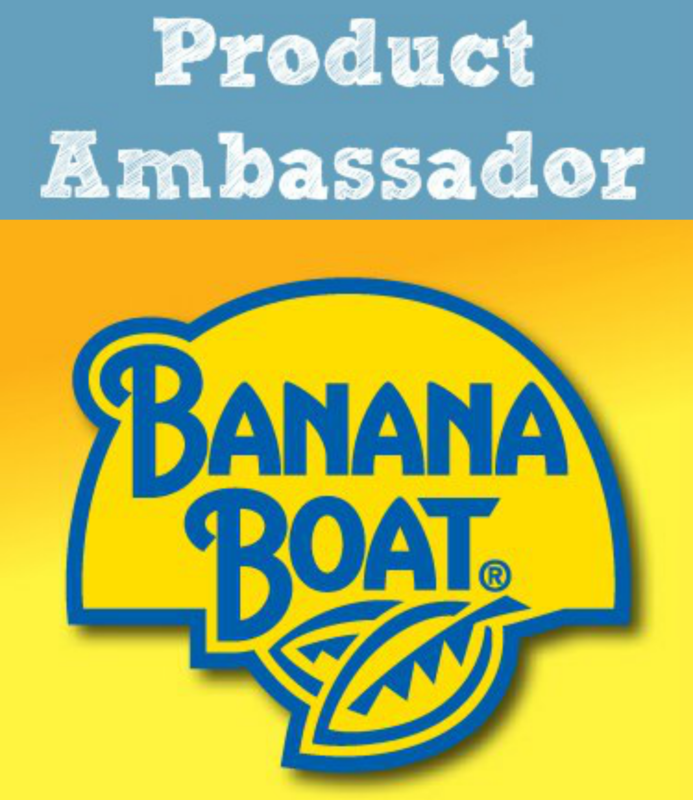 Thanks for sharing I need to pin this so I can make it later. You know, I’ve never thought of pulled pork on nachos! This looks amazing! You did a awesome job! Oh my! You just made my stomach grumble, these nachos look absolutely delicious! this looks good, i will have to try it. These look awesome, I will have to give them a try! This gives a new meaning to loaded nachos.